Make a splash! 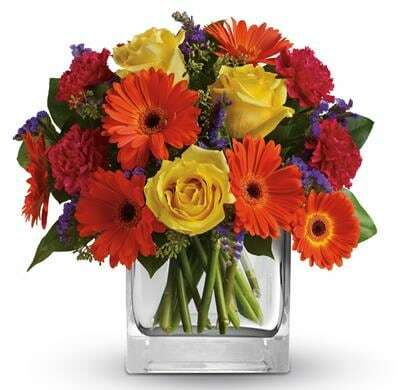 Orange gerberas, yellow roses and hot pink carnations are a bold, beautiful gift for any happy occasion. 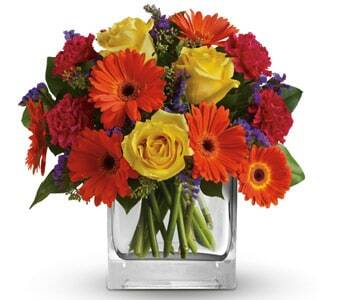 This arrangement comes in a glass cube vase.